Devlin Design Disrupts Old Ways of Thinking - The controls cabinet is a standard fixture on industrial equipment. Devlin showed Adcole how to eliminate the extra enclosure, saving cost and precious floor space! The Brilliant Pad automatic puppy pad machine cleans itself automatically after every use. It is particularly helpful for professionals who can not be home during the day to walk their small dogs. Devlin Design created the machine for Brilliant Pad founder Alan Cook who approached the company with the idea of using puppy pads as continuous rolls. The pads are a multi-million dollar a year industry. Cook saw an opportunity to add value with a machine that used material in a more efficient roll format and was convenient to use. Devlin Design was responsible for the patentable invention as well as the industrial design and production-ready engineering. 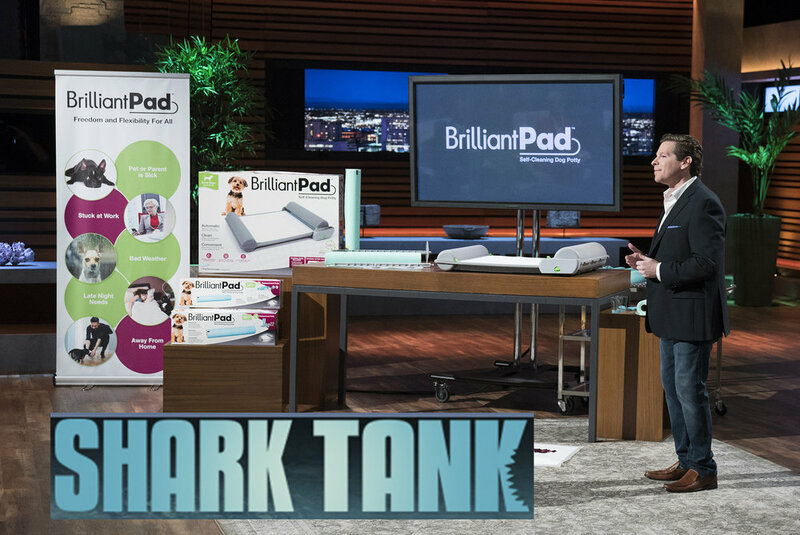 The producers of Shark Tank discovered Brilliant Pad at the end of their successful Indiegogo campaign, and asked the company to appear on the show. Alan knew it was a fantastic opportunity for publicity even if he did not get funded. But he had to keep it all secret, even after the show was taped, so we didn’t even hear about it until after it aired.